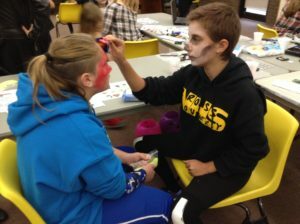 GameZone, crafts, movies, special programs and more await teens at the Library! Laptops (bring Newton Public Library cards to use), Yu-Gi-Oh, board games, card games, snacks, Wii™, Xbox 360 Kinect™, hanging out with friends, making stuff… Check Library Happenings and the online Calendar for details on crafts. More stuff to do? It’s all here! Fan us on Facebook! There are some great photos of fun times at the Library!